Nigerian army claims rescue of 2nd "Chibok girl"
LAGOS, Nigeria -- Nigeria's military reported rescuing a second "Chibok girl" in a forest battle with Boko Haram Islamic extremists, but a community leader said Friday she is not on the list of 218 students missing from the 2014 mass abduction from the school by Boko Haram that sparked worldwide outrage. Army spokesman Col. Sani Kukasheka Usman said soldiers freed the girl after a Thursday night battle in the northeastern Sambisa Forest in which it liberated 97 women and children and killed 35 extremists. He said she is 157 on the list of 218 missing girls seized more than two years ago from a boarding school in Chibok. But number 157 has a different name, Chibok community leader Pogu Bitrus told The Associated Press. The list has two other young women sharing the surname given by the military and the rescued girl may have been visiting older sisters at the school the night of the kidnapping, said Bitrus. 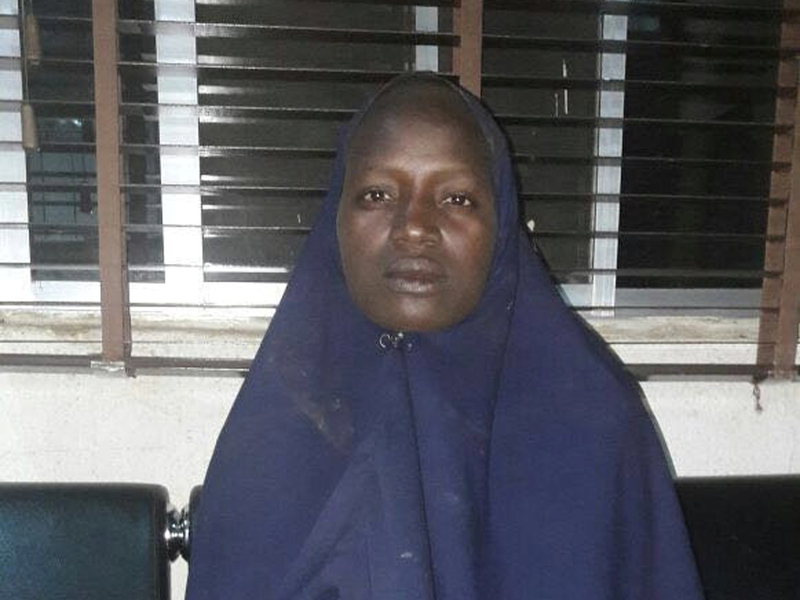 The first Chibok teenager to be freed was discovered with a 4-month-old baby by hunters wandering on the fringes of the Sambisa Forest on Tuesday. On Thursday, Amina Ali Nkeki, 19, was flown to Abuja to meet with Nigeria's President Muhammadu Buhari. Parents of the kidnapped girls, the Bring Back Our Girls movement and aid workers all have criticized the Nigerian government and military for their handling of the development, with Refugees International charging her escape is being politicized and that she should not be paraded in public but getting urgent medical care for sexual abuse and psychosocial counseling. Ali has revealed that a few of the girls died in captivity but most remain under heavy guard in the forest, according to family doctor Idriss Danladi. The AP does not identify suspected victims of sexual assault but named Ali after she appeared on TV alongside the president.